Architect Pedro Ferreira Pinto designed the house to be a dream getaway in the area of Comporta. With two private courtyards, perfect to relax, Casa da Comporta is more than a house, it's an experience. As the central point of the entire house, the main courtyard is ideal for lunching or dinning outside, read or relax after a day at the beach. Designed by Pedro Ferreira Pinto, Casa da Comporta is an excellent example of the wonderful work that the architect developed at Herdade da Comporta. Casa da Comporta invites to the outdoor living, cutting the barriers between inside and outside. 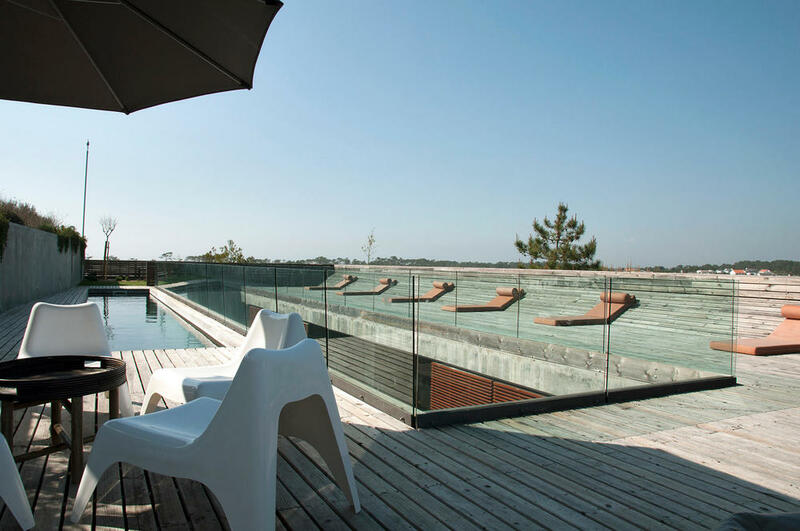 Boasting a private oversized courtyard, which is the heart of the house, a balcony on wooden stilts and a heated swimming pool with panoramic views of the surrounding countryside, Casa da Comporta assumes in a simple and elegant way the relaxed lifestyle of this southern part of Europe. Through the sliding wood panels on the facade of the house, Pedro Ferreira Pinto deliberately assumes a game between openness and privacy, allowing those inside the house to close up, without losing sight of the landscape and natural ventilation. With the philosophy "less is more", the architect has restricted the use of materials, opting for a magnificent combination of concrete and wood, mixed with the pure and essential lines of the facade and interior. Linking the various areas of the house intentionally, Pedro Ferreira Pinto designed a house to be lived, an unique haven to relax and enjoy the nature. Architect Pedro Ferreira Pinto, photo by Monocle Magazine, Issue 57.